New York Approves Delayed Contract for Contactless Fare Collection, Clearing Way for Rides with NFC Wallets | NFC Times – Near Field Communication and all contactless technology. 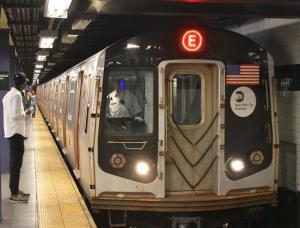 The New York Metropolitan Transportation Authority has approved a contract to move to open-loop fare collection, after delays, clearing the way for riders to tap to pay with NFC phones. NFC TIMES Exclusive Insight – The New York Metropolitan Transportation Authority board has approved a long-anticipated contract to enable riders to pay with contactless credit and debit cards, including cards loaded into NFC mobile wallets, by 2019–the largest transit authority to do so since Transport for London launched open-loop fare collection in late 2012. The MTA board approved a $539.5 million contract with U.S.-based Cubic Transportation Systems to implement the system to replace MTA’s more than 20-year-old mag-stripe MetroCard. Cubic also implemented open-loop fare collection systems in London and Chicago, the latter starting service in 2013. Cubic is working on other open-loop fare collection projects, including in Sydney, Australia. The contract award has additional options that could add up to $33.9 million and is pending finalization, Cubic announced Wednesday, adding that Transport for London–which was instrumental in developing the sophisticated back-office fare engine for its account-based ticketing service–will help on the New York project, as will Mastercard, which has built an authorization system targeted at open-loop transit fare collection. Article has about 740 words.